We are super excited to announce that From The Earth's Online Store is now open! Purchasing fair trade, handmade products from the Middle East just got a whole lot easier. Now you can find your favorite olive wood kitchen and home items, olive oil soaps, ornaments, greetings cards and accessories in one spot. Why are we so excited about this? Because now, you can get to know us better and hopefully we will also get to know you better. Be sure to check out our Sale section where you can snag deals on Last Chance Items. 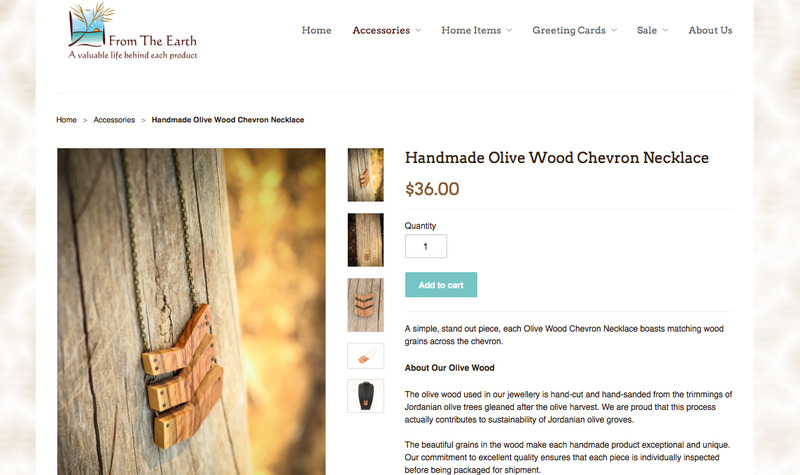 And finally, with the launch of the new online store, you can purchase From The Earth Gift Cards to be used online. Yeah! Just in time for the holiday season.